KAZE DAIKO is a performing taiko group for youth and young adults. The group is organized and run by youth performers and their parents with an emphasis on supporting the local community with public and private performances throughout the year. All performance requests are given equal consideration. Kaze offers ongoing drop-in classes and workshops for youth ages 7-15. Interested youth may enter into apprenticeships to become performing members. Kaze is a community-focused organization with strong ties to the local Japanese-American community - but participation is not limited to the Japanese American youth.. In Kazedaiko, we strive to develop an appreciation of Japanese music and movement; to learn about Japanese and Japanese American culture, history and heritage; to help members develop and maintain a sense of identity, pride and self-confidence; to reach out to a broader community in support of diversity, tolerance and mutual education; to foster teamwork and unity of purpose. "Kaze" (pronounced Kah-zeh) is the Japanese word for wind/breeze. The Japanese Kanji on the back of their uniforms is the character for Kaze. "Taiko" is the word for drum in Japanese, and like a lot of combination words, the "T" gets changed to a "D" sound; that's why the group is called "Kaze Daiko". The really big drum (on the tall stand) that the kids use is called an "Odaiko" (which roughly translates to "big drum". The medium sized drum the kids use in every performance (which they make themselves from scratch) is called a Chudaiko. The smaller drums (that look like a snare drum) which keeps the base beat are called "shimedaiko". Kaze performers are also studying "fue" (Japanese flute) and "shamisen" (a stringed instrument). I have been been playing taiko since 1981. 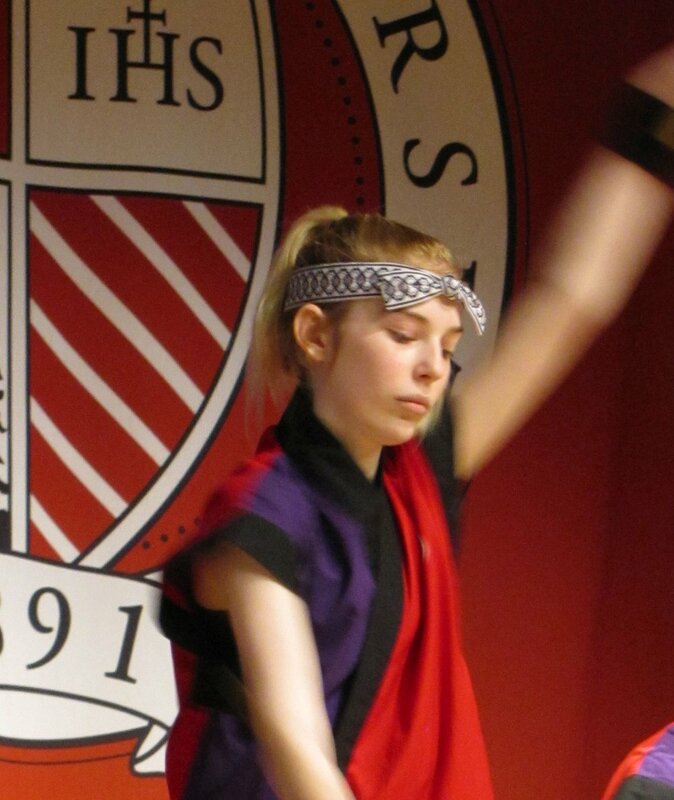 For me, taiko is a synthesis of rhythm, movement and spirit. I enjoy exploring and expanding on each aspect as I teach and share taiko with players of all levels, especially the members of KAZE DAIKO. Besides performing and composing taiko pieces, I also like to write about taiko. I've written articles on the history and development of taiko, a syllabus for a children's taiko class and several taiko training sheets. Besides taiko, I enjoy camping, clamming and hiking with my wife, Tracy, and our two children, Misa and Kiyoshi. Oh, yes -- in my spare time I work as a Registered Nurse at the University of Washington Medical Center. KAZE DAIKO was formed in January 2000 by Griffin Joko-Fujimoto, Marisa Kawada, Leigh Momii, Todd Miyata, Alaina Mori, Cara Mori and Kanae Nakamura with the support of parents and under the direction of Stan Shikuma. All founding members had previously trained under Scot Kamimae of Tsunami Taiko. Kazedaiko was fortunate to have a workshop with taiko master Kenny Endo in March of 2000, gave our first performance in April of 2000.